Looking forward to joining everyone at another exciting NEISMA Spring Conference and Tradeshow on April 24. Stop by our booth at the MGM Casino in Springfield, MA. The WIAMA Annual Spring Conference is just around the corner at Spring Brook Resort, April 17-18! Hoping for great weather so we can do our vendor introductions on the patio again this year! We look forward to seeing you at the tradeshow! What is a Hiring Event? Think of it like a job fair, but for one company and more personal. Hiring is a human process, and we would like to meet you! This year we will be introducing our Dry Climate Dehumidification Series. The Dry Climate is a compact pre-engineered desiccant dehumidifier with stainless steel construction that performs in commercial and industrial applications. We're happy to see folks from companies that we have been working with on projects throughout the country coming to RETA November 6-9. Are you looking for a new career opportunity? We believe that CDI is a great place to work. We strive to cultivate a work environment where each person can be productive, creative, and safe. 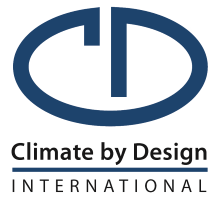 We've got a great team of people at CDI and we would like to extend an invitation for you to meet us! We will be hosting a Career Fair on Thursday, October 4 from 2-5pm. We will be conducting tours and interviews during this time. Schwab-Vollhaber-Lubratt (SVL) is celebrating 50 years as one of the Midwest’s largest equipment suppliers in the HVAC industry. SVL has been a CDI Manufacturer’s Representative since January 2004.